The special Steam sale lasts until 11:59 PM EST Friday, February 26, so be sure to head over to the Steam page and take advantage of this deal while you can. While some of this is likely to get a little hype going for the next entry in the OMD! 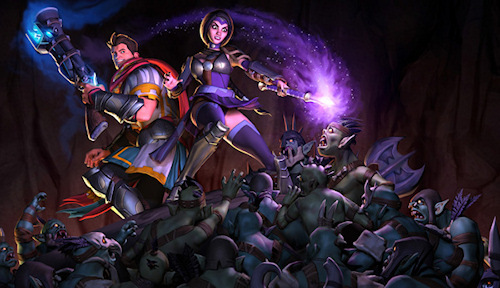 series, Orcs Must Die! Unchained, Robot Entertainment is also hoping to make this a yearly event for its community. Aside from the sale on its existing titles, the developer is also hosting some special events over the next couple days where they'll be showing off some things from Orcs Must Die! Unchained and undertaking some new challenges in the previous titles. Head over to the "Orc Week" website to get the full schedule. Page created in 0.2483 seconds.